Homeland: Immigration in America premiered July 2012. Probe one of the nation’s most polarizing issues and a key topic in the 2012 election. Homeland: Immigration in America presents the story of new immigrants who find themselves walking a fine line between access to and expulsion from the American dream. It’s also a story of American citizens who wonder if legal and illegal immigrants threaten their way of life. These intertwined and complex issues may have a significant effect on the choices people make when they go to the polls in November. 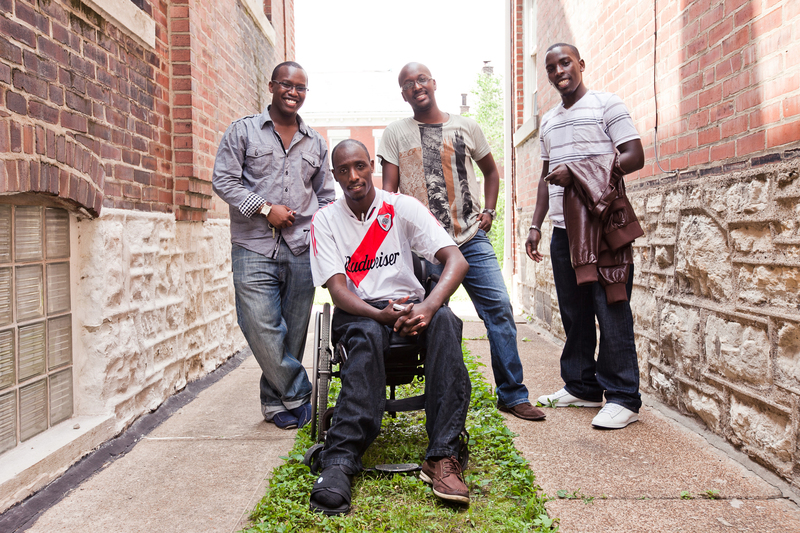 Brothers in spirit, these African refugees bonded to face their new challenges in America. Homeland: Immigration in America reveals the complex economic, political, personal and cultural dilemmas that are often portrayed as simple choices of right or wrong, legal or illegal. Immigration is not just a short-term border state issue; it is a national and local issue with long-term consequences for communities and the nation as a whole. The first two hours of Homeland: Immigration in America are part of PBS’s primetime schedule. A third part airs on selected PBS stations. Part one, “Jobs," looked at the spectrum of immigrant jobs and the complex maze of rules, regulations, caps and quotas challenging our country at many levels. Among the people included in “Jobs” were an American-educated Taiwanese scientist searching for an employer to sponsor her visa and immigrant workers in a sleepy Ozark town who have brought a much-needed economic turnaround, but also language barriers and culture clashes. Part two, Enforcement cuts through the heated rhetoric to explore how communities and the nation struggle to enforce inconsistent immigration policies. One story explains why two Kansas City beat cops have adopted a “don’t ask, don’t tell” policy toward legal status, knowing that aggressive enforcement threatens to break community trust when illegal and legal immigrants live side by side, often in the same family. Visit explorehomeland.org to learn more about immigration.